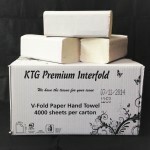 Interfolded Paper Towels. Use in dispenser attached to wall. 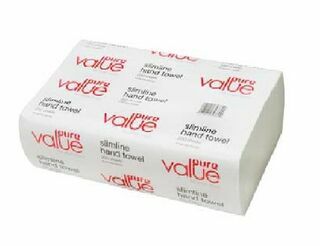 Midfold 'V' Fold paper towel made from recycled paper. Folded size: 240mm wide x 110mm deep. Unfolded size: 240mm wide x 240mm deep. Economical and soft. 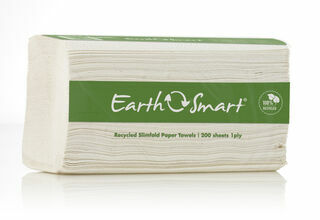 Half fold paper towel, interfold. 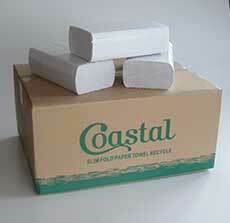 4000 sheets per carton (250 sheets x 16 packs). 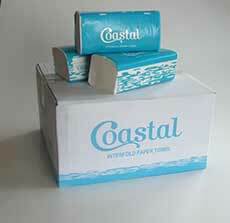 This is your original tried and true Interfold, unbleached, very thick and absorbent. 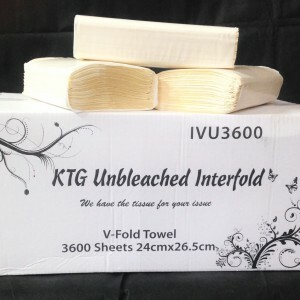 The IVU3600 is Kiwi Tissues largest V-Fold towel. 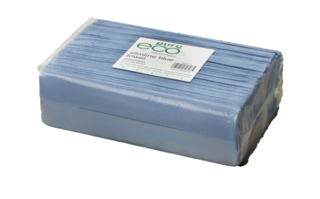 The Tork Xpress hand towel system for multifold hand towels is suitable for environments that demand both comfort and hygiene - such as restaurants, offices and healthcare facilities. 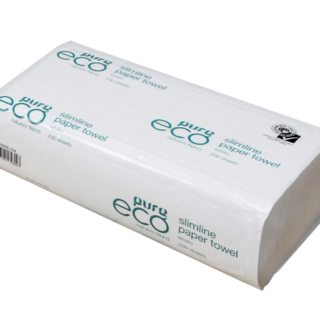 A compact hand towel system to suit wall space in public and residents' washrooms. 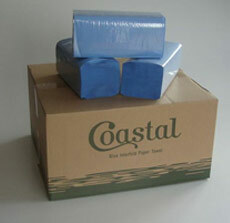 Single sheet dispensing reduces consumption. 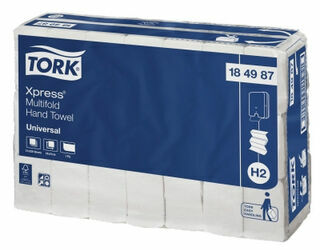 Tork H2 toilet tissue has independent environmental accreditation. The Tork H2 Hand Towel system is simple and intuitive. Single sheet dispensing for reduced consumption. Available in a high capacity dispenser for busy washrooms, or a mini dispenser for smaller washrooms, where space is at a premium. Sourced from FSC' certified pulp*. 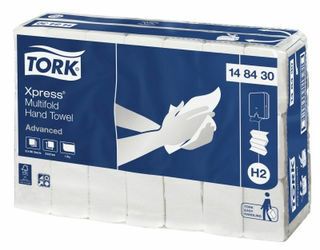 The Tork H2 Xpress hand towel system is simple and intuitive. Single sheet dispensing for reduced consumption. Available in a high capacity dispenser for busy washrooms, or a mini dispenser for smaller washrooms, where space is at a premium. Carry packs make it easier to carry, use and dispose.